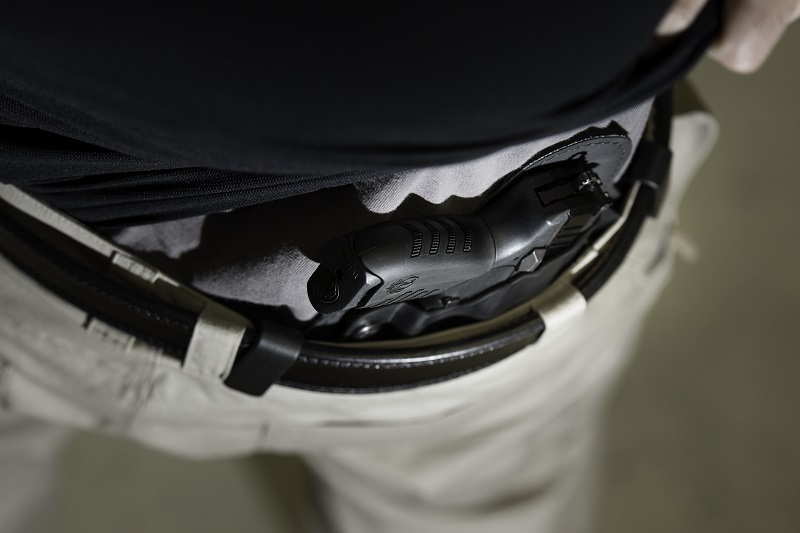 One of the most important things you need to carry besides a gun belt is a holster, and the IWB holster - or inside the waistband - is one of the most popular types. There's a good reason for it, too. 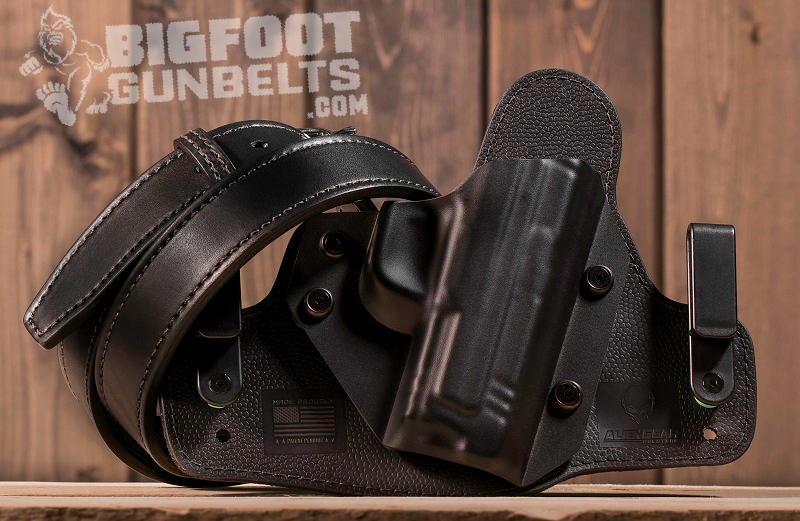 IWB holsters, just like their outside the waistband (or OWB) counterparts are located on the waistband, which is the most natural location to keep a pistol. However, IWB models are more easily concealed, making them wildly popular for concealed carry. Just like a good gun belt. These days, there are a myriad of holster companies making IWB holster models from a variety of materials. Generally, they are made from leather, plastic or other form of composite polymer, nylon or other form of composite cloth. Some feature all types of materials in one - those would be the "hybrid holsters" that are all the rage these days. Naturally, IWB holsters are the most easily concealed, as an untucked shirt will generally cover them. Some do wear them for open carry, however. Purely leather holsters, just like leather OWB holsters, typically take the form of a leather "pancake." Pancake holsters aren't exclusively leather, mind you, but these are quite popular. They have the rigidity but give of leather, which makes them durable, but there are some drawbacks, as sweat can seep into the leather and hot weather can make them miserable to wear. They also have to "break in" before they'll really start to get comfortable. Plastic or other composite holsters often are much the same - a plastic "pancake" shell. Kydex is the most common plastic used for these holsters, given that it's hard but also has a smooth texture; Boltaron is a similar plastic used for these applications. Some holster companies are turning to carbon fiber as well. Moisture isn't as much of an issue, but the hard plastic can be uncomfortable to some. These are highly popular with the "tacticool" crowd. Cloth pancake holsters, such as nylon holsters or those made with "sticky" fabrics are also popular...largely due to low price. This isn't to say they're low quality, but one does often get what one pays for. These holsters tend to be somewhat less durable, and thick nylon will likewise get sweaty on a warm day. Hybrid holsters are also highly popular. These typically have a cloth backer (such as leather, composite fabric, high-strength mesh or multi-layer backer design) and a polymer retention shell, often of Kydex or similar plastic. The backing material matters; leather has the same pros and cons as do other materials. However, many consider them the most comfortable. IWB holsters are built with a variety of features and functions. Pancake style holsters, for instance, are often of the paddle variety, with a single clip that goes over the top of the waistline. While certainly easy to put on, this puts virtually all the weight of the gun and holster in one location; you will need a strong gun belt or else gun sag will be your lot. Many hybrid holsters have two clips, spreading the weight over a larger area. (Yes, a gun belt will still be necessary.) Clips can be plastic, hard nylon, metal or leather loops. Some clips allow for tucking a shirt over the gun and holster, if one prefers to tuck and roll, so to speak. Many holsters feature adjustable cant and ride height, so the wearer can adjust the holster to the grip angle and position inside the waistline that they desire. Some holster companies, however, require the purchaser decide the cant angle before purchase or just expect them to deal with the cant angle and ride height they set. Hybrid holsters - and some of the plastic or composite pancake holsters - can also be adjusted for retention force, so the wearer can set the draw to their liking. Not all do, however. Look at how the retention shell is mounted. Riveted holsters can't be adjusted, holsters featuring screws are usually adjustable. Some IWB holsters are better suited to particular carry locations. The larger models, such as those with two belt clips, are often best suited to the 3 o'clock to 6 o'clock positions. There are also appendix carry holster designs, which are naturally suited to appendix carry. Such designs can, of course, be situated elsewhere, but appendix carry is their intended use. That said, some people will put them wherever they please, as they can be less intrusive than other holster designs. Ultimately, the best IWB holster is subjective; different people are looking for different things. Comfort is of the highest importance, though; if a holster isn't comfortable to wear, the carrier will find excuses not to carry and that defeats the purpose of carrying. Retention is also very important. 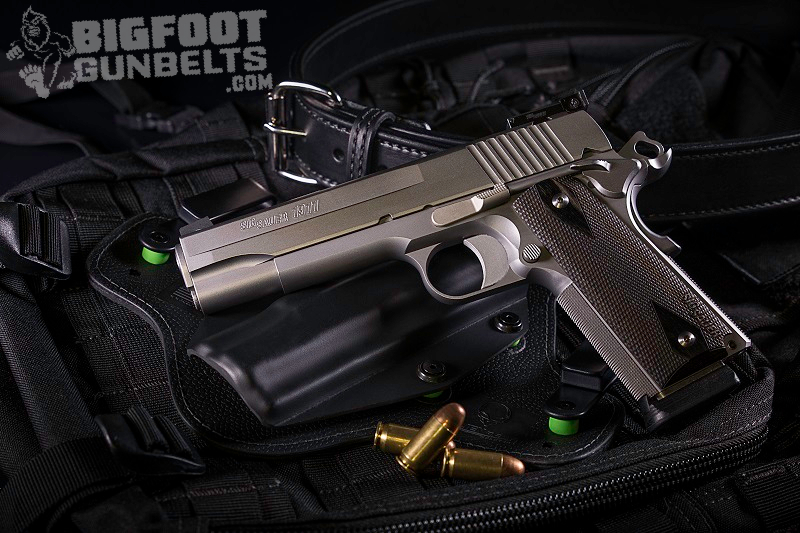 Adjustable holsters can be set to the user's desire, so those are recommended. Put your pistol in the holster. Feel too loose for your comfort? Get a new one. If you don't know what grip cant you like, it's best to get a holster that can be adjusted for it as well, and the same goes for ride height. A pistol that rides too high can poke the wearer with the grip and the hammer, and one that rides too low may be too easily spotted. Material is also good to bear in mind. Live in hot climate? Leather is not going to be pleasant during the summer months, neither will heavy nylon. 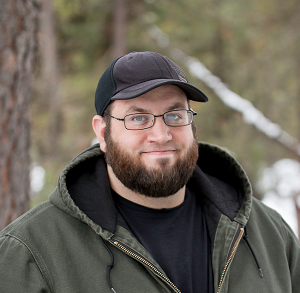 If one lives in an area with all four seasons, it may do to get a holster that can repel sweat, such as one made with a neoprene backer, or a mesh backer for ventilation. Some people have different holsters for different seasons, and for that matter, different pistols for the same reason. If temperature varies wildly where you live, you may consider this approach. It also helps to buy a holster that allows a trial period. That way, you can wear it for a period and determine if it's to your satisfaction.